Chris Skene | singer/guitarist from Tallahassee, FL. Chris Skene is a guitarist, singer, and songwriter from Tallahassee, FL. 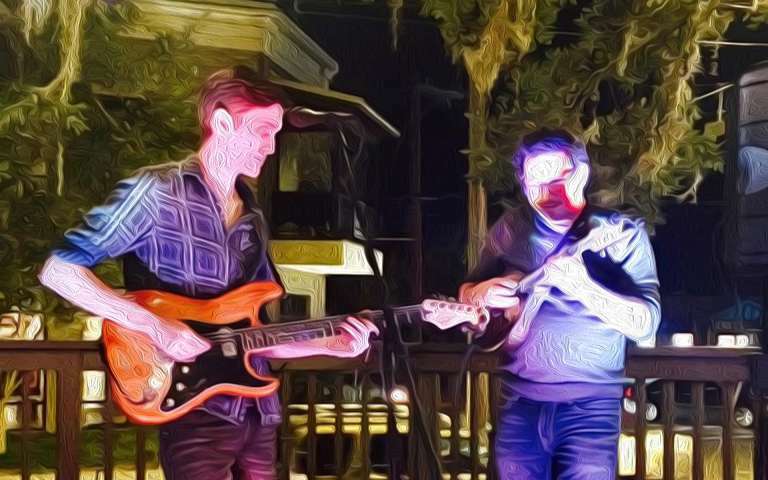 He performs both with his own band and as a guest guitarist with a number of Tallahassee acts. As a guitarist, Chris follows in the blues/jazz/revival rock 'n' roll tradition of modern players like Jimmy Herring, Derek Trucks, Warren Haynes, and Jack Pearson, drawing great influence from earlier players like Eric Clapton, Jimi Hendrix, Jerry Garcia, Dickey Betts, B.B. King, Duane Allman, and many others. His playing blends deft jazzgrass-infused flatpicking, crisp electric blues language, and the melodies and stylings of bottleneck slide players and soul singers. Vocally, Chris is heavily influenced by Sam Cooke, Jussi Bjorling, Jeff Buckley, and Susan Tedeschi. 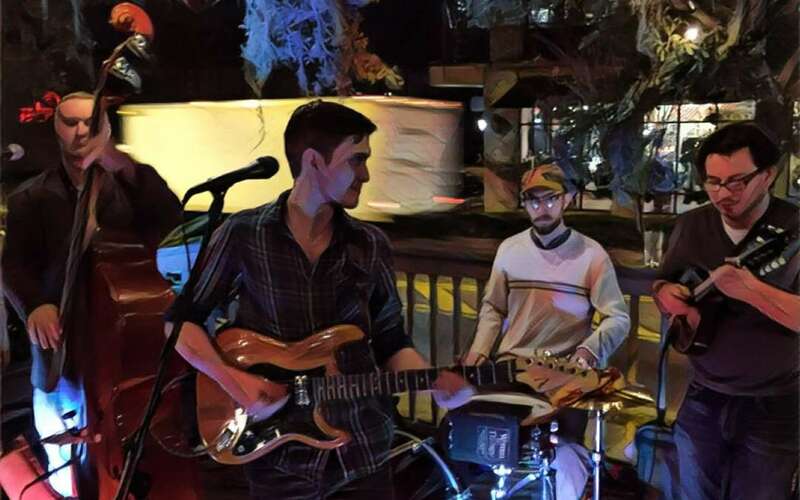 Chris Skene (electric guitar/vocals) and Mickey Abraham (mandolin) fuse soul, blues, jazz, and classic rock 'n' roll tunes with bluegrass-fueled improvisation. Primary influences include David Grisman, Sam Cooke, Pink Floyd, Derek Trucks, Susan Tedeschi, Jimmy Herring, the Grateful Dead, Jussi Bjorling, Sly and the Family Stone, the Allman Brothers Band, Tony Rice, Django Reinhardt, and many others. Created by Chris Skene with MusicLocal.